KrakenD sits between your clients and services to offer tailored API endpoints with only the data you need and a brutal performance. Make your apps fly! Build reliable apps. Have a premium user experience. Eliminate the necessity of dealing with multiple REST services. KrakenD isolates clients from the micro-service implementation details, and allows you to design the specific interface you need to interact with all your API ecosystem. Have a better response time, reduce the bandwidth and decrease error rates. KrakenD is your self-designed REST API Gateway that feeds from your existing data services (Your APIs, legacy, cloud, IoT...) Just define visually or in a configuration file the endpoints your applications will use and the KrakenD will fetch and transform the content at your will for you. Manipulate, merge and aggregate several responses from you backend servers to create a new API response that fits perfectly with your applications needs, not with the microservice design. Image: An example of flow for an endpoint in KrakenD that uses 3 different backend sources. Avoid harmful usage of your own backends by rate limiting the access, enabling OAuth, SSL, certificates and a long list of other security and traffic management options. The design of the KrakenD follows the UNIX philosophy and stacks middleware (or plugins) that add any features you might need. Use our own, the ones coded by the community or easily create yours. 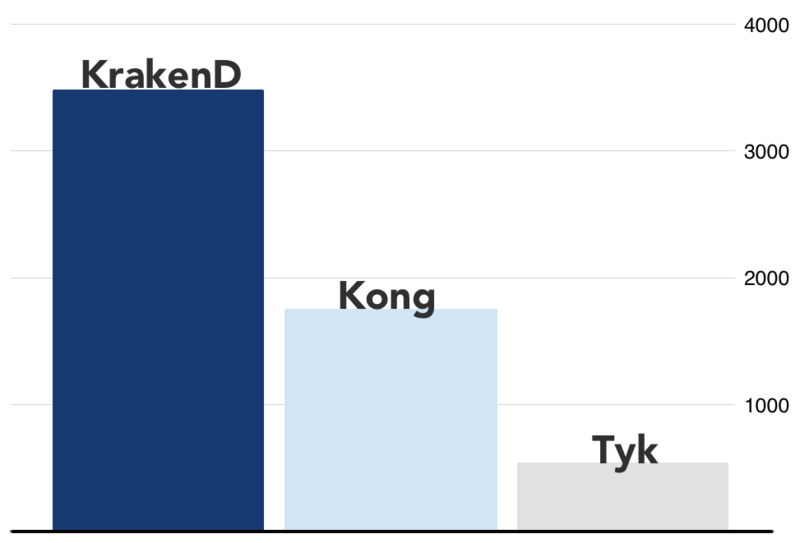 KrakenD has been built with performance as the final goal (and obsession). We are super proud of the speed we are delivering and we haven't find a similar product that beat us in the market. With a single box you can support a huge amount of traffic. It's so fast that we needed to implement rate limits to give your backend a breathe! Edit the configuration file and run the service, as a daemon or as an agent. Don't like editing text files? No problem, use the visual KrakenDesigner. All KrakenD endpoint configuration is stored in a plain text .json configuration file. 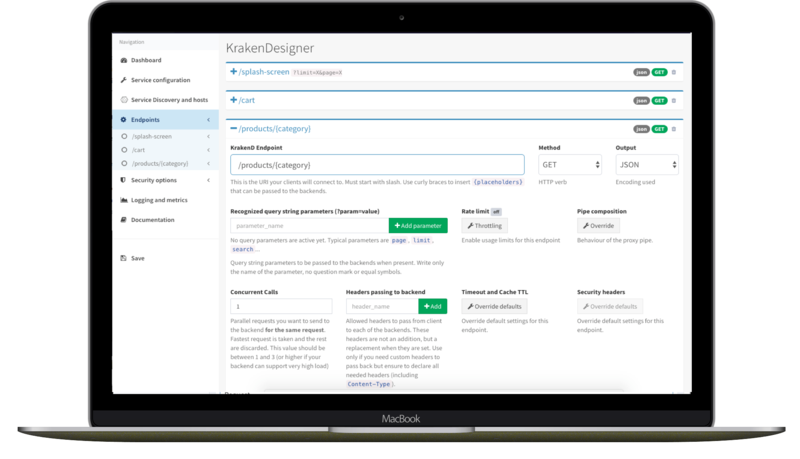 You can edit this file by hand or design your API interface visually using the KrakenDesigner. The command will start the http daemon serving all the endpoints you defined in the configuration file.